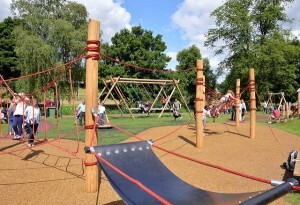 To find play areas near you, please click HERE. CultureNL Play Services develop outdoor public play areas, wheeled sports areas and multi-use games areas on behalf of North Lanarkshire Council. We work closely with communities within North Lanarkshire to support them during the play area development process and assist with consultation, external funding applications, procurement and project management. Have a look at our recently completed projects and what’s coming up in the near future. Please note that any enquiries regarding the maintenance and upkeep of public play areas should be directed in the first instance to North Lanarkshire Council via Northline Tel: 01698 403200. Any enquiries relating to play facilities within private housing developments should be directed to the factor, not North Lanarkshire Council.